Is it just me, or is this summer flying by? It’s going so very fast, that many of you are probably already heading to Visiting Day this week or next! To get you all prepped and ready, I’ve compiled our very best Maine Camp Experience advice before you take off. But logistics aside, the most important is that you have fun appreciating your camper, and seeing how they are living life these precious weeks at camp. Your kids will be happy to see you and spend time with you, though let’s face it … bringing some candy doesn’t hurt. That goes for parents and siblings! Also, bring a bathing suit in case you want to swim in the lake with your camper. Sure, you say you won’t want to, but when you get a glimpse of that crystal clear Maine water … you may feel otherwise. I’m just sayin’. Sometimes, camps will give out pre-printed slips of paper with the times you need to be at these demonstrations. For other activities you may need to sign up when you get to camp. Also, keep in mind that some camps assign different lunch times for different age groups. So while you don’t need to plan out every second, it’s good to loosely plan your day at camp keeping in mind some specific timings. Don’t forget, you may want to do things like visit the arts and crafts area to see your camper’s creations! Keep the things you bring to a minimum, like that beloved candy. Camps tend to throw out junk food within 24 hours. Also, bunk and staff gifts are not typically customary at Maine camps – be sure to check your camp’s policies. If you really take it all in, you can get a great snapshot of camp life, and have the experience of being a camper with your kids. Take the time to live in the moment, meet the people you’ve been hearing about in letters, and be present with your camper. Just try not to overwhelm them – remember that they are not used to being around you the last 3 – 4 weeks! So if they are acting a little shy … don’t take it personally. This is a great time to meet counselors and new bunkmates, as well as reconnect with people you may have met last year and their parents. If you have specific concerns, jot down a few notes in advance to share with the directors, or – even better – send an email before you leave to schedule a short meeting. Directors will be very busy, but will make time for you if you ask them ahead of time. Check out arrangements for younger siblings ahead of time. 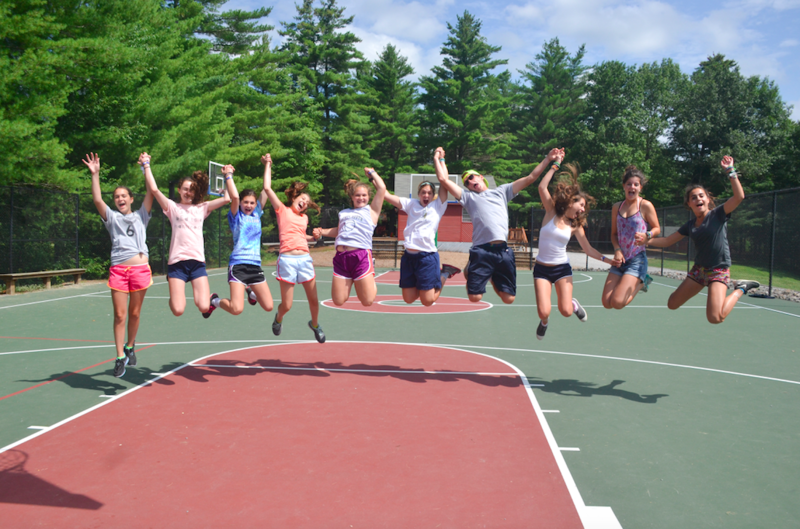 Some Maine Camp Experience member camps have a sleepover or late night either before or the night of visiting day, while others have a sibling/rookie day the day after. It’s a great opportunity for your younger child to experience their future camp life. Some camps will let you go off campus a bit with your camper (not all – so check that out in advance), so take the opportunity to plan some classic Maine experiences you and your kids will enjoy and remember. Start new family traditions, or keep established traditions going! Many of our camp families get the chance to see each other in hotels and restaurants nearby and other Maine attractions. In addition to seeing your beloved camper, one of the perks of being part of the community of Maine camps is connecting with people from all over. I promise I won’t tell anyone if a reason you picked a Maine camp for your child is simply: FOOD. Who could blame you? Before you leave the area, be sure to indulge in whatever strikes your Maine fancy – eat some lobster, have a whoopee pie, or some of those beautiful Maine blueberries. Whether they’re eaten by the handful or in a pie, you will not be sorry. For more ideas on how to make the most of your Maine vacation, check out our post by Cute Potato’s Jen Hazard on the best places for families to visit in Maine. Most importantly, have fun! Sending your kids to camp in Maine will truly end up being a great experience for the whole family.